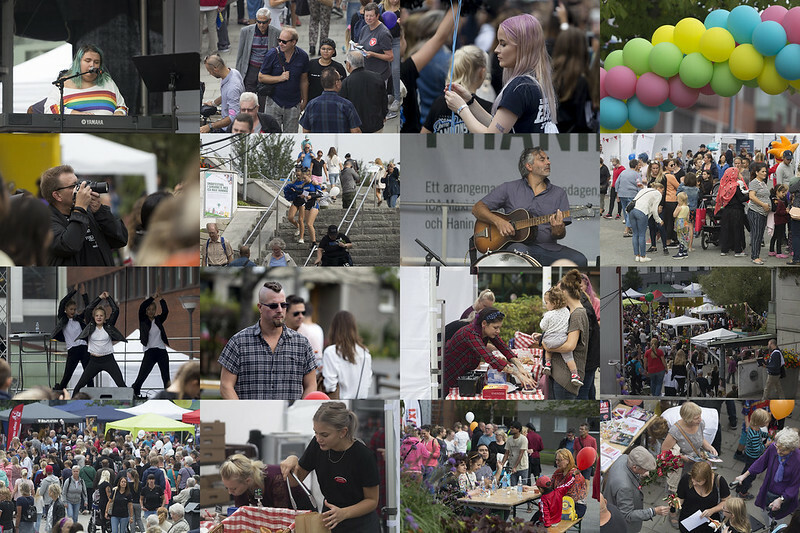 That was the theme for the Haninge Day this year. Here is a collage and a slideshow with all the photos I took at the event. Top left photo in the collage shows Freja, the winner of the Funkisfestivalen performing on the big stage. The guy with the canon strap is Micke Klein out strolling with his son, you have seen him in action here with his band a couple of times. The guitarist in the second row is Micke Vinsa he was playing with Freja here. The two girls in the bottom row are Bella &Cornelia from my favorite cafe, Malmens konditori. You can spot their boss Natalia in the third row. The dancing girls represent Haninge Dansstudio. The cheerleaders walking down the stairs are from Haninge Cheer Elite. And if you can't see the slideshow press here to go to my flickr album. That's quite a mixture of people.